No matter the size of your fleet, it can be easy for maintenance needs to sneak up on your vehicles when you’re focused on maximizing your budget and profit margin. Service, maintenance, and repair costs can easily add up, while traditional solutions require a commitment of employee and vehicle downtime. The end result is common: your business loses as much as $760 per day, per vehicle. But what if you could create a fleet maintenance strategy that doesn’t revolve around allocating time for your employees to shuttle vehicles to an off-site mechanic? How different would your day-to-day operations be if your maintenance solution came straight to you? 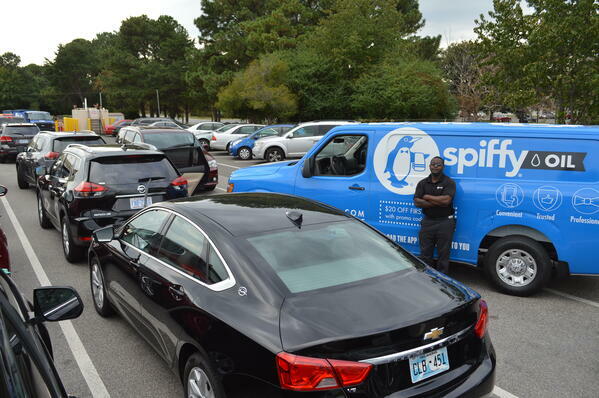 Here at Spiffy, we’re eager to play a role in making fleet management simpler by eliminating the need for downtime altogether. To that end, we’ve assembled some tips for effective fleet maintenance and how our on-demand model for car care can benefit your bottom line. Without a precise understanding of the cost of vehicle downtime and its direct impact on your profit margins, you’ll never be able to get ahead of them and stay there. The same can be said about how each vehicle is being used. If you have models in your fleet that are being used more frequently, or used in rugged driving conditions, you should expect a faster turn around for service. No two models share the exact same timeline and keeping this in mind will make proactive maintenance easier to achieve. When you’re properly informed of your fleet’s downtime cost and service needs per vehicle, then it’s important to create a sequenced checklist as a part of your plan of attack. Different automakers require different tactics, but staying on top of them can make maintenance appointments painless. Don’t get too comfortable with a “master checklist”; it’s a lot easier to forget a vital service when you’re reusing the same list for every appointment. Instead, keep it close during routine inspections and add to it as subtle problem areas become more noticeable. If knowing what maintenance items need to be routinely addressed is half the battle for fleet managers, then we consider the process of creating a routine service schedule to be the other. It requires fleet managers to have an intricate understanding of their business, including peak utilization and its impact on your ability to plan services on a vehicle-by-vehicle basis. This is where Spiffy can alleviate stress, since we can come directly to your fleet and minimize any downtime you have to account for. After you create your service plan and schedule, it’s time to put it into action. This is where data analysis can go a long way in improving the longevity of strategy. Every individual service by vehicle can offer measurable data points for you to recognize, such as the total maintenance cost per vehicle, the difference between fleet utilization and availability, and even the positive effect of preventative maintenance on your budget. If you encounter data that proves to have any sort impact on your fleet, then don’t shy away from it. If you’re going through this entire process without taking advantage of digital or cloud storage for your service records, data, and any other files, then you’re ultimately doing more harm than good. Settle on an online storage option that works best for your business and revel in the convenience of near-instant access to any and all important documents. In fact, our custom-built Spiffy Fleet web app can keep track of your completed and pending services, as well as the invoices from our immediate digital billing, via a user-friendly interface. Not only does this make searching for a specific file easier on a computer or in the field on your phone, but you can avoid accumulating a mess of physical receipts, files, and folders. 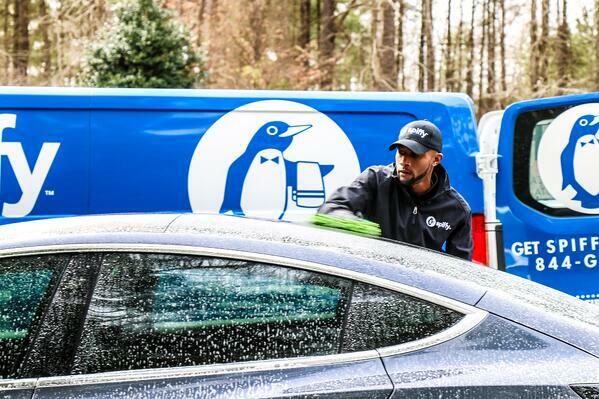 If you're ready to simplify the maintenance strategy for your fleet, then it's a good time to learn more about Spiffy's on-demand car care solutions. 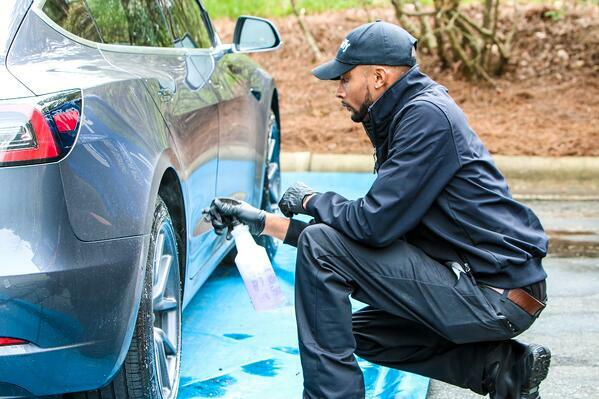 Our expertly trained and Simoniz® certified service technicians are standing by to make your job as fleet manager as stress-free as possible. Learn more and see if we’re the right solution for your fleet today! Ready to Spiffy your fleet?